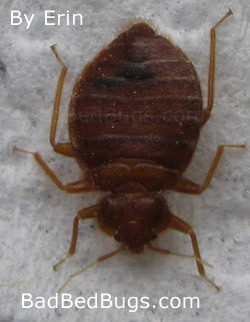 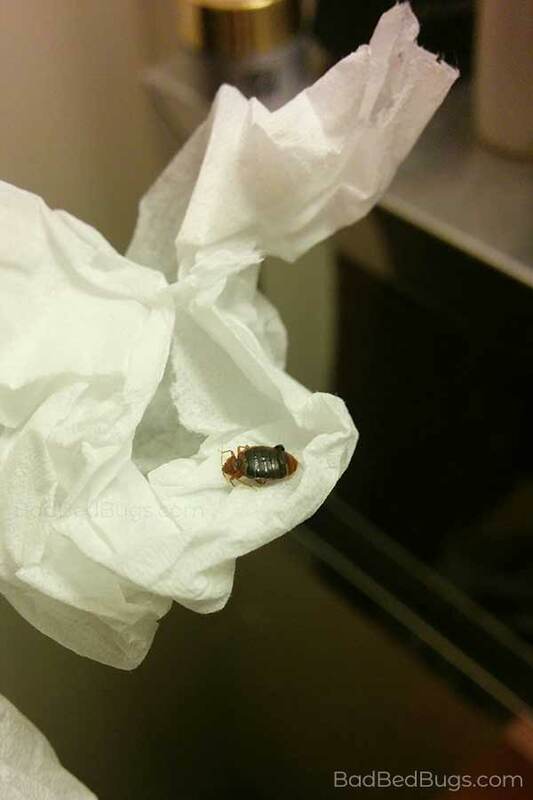 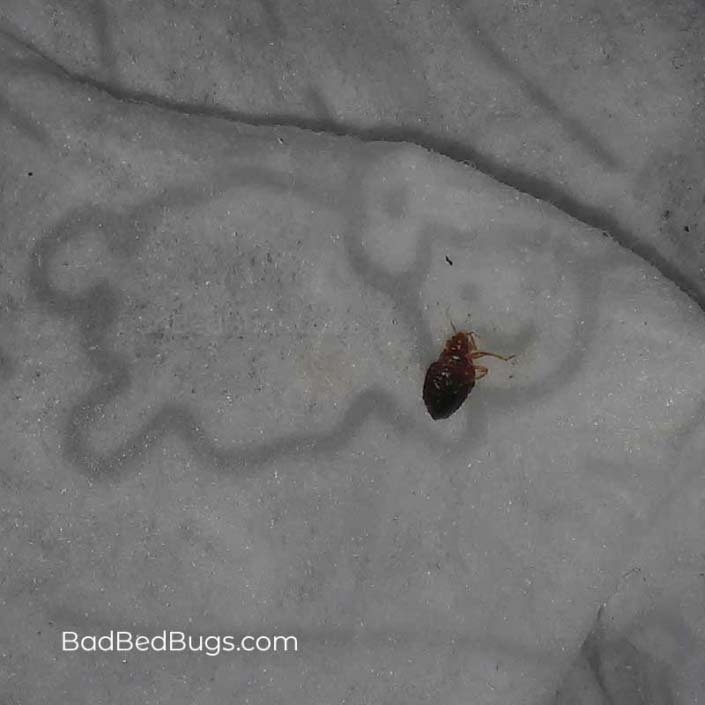 This is what an adult bed bug looks like. 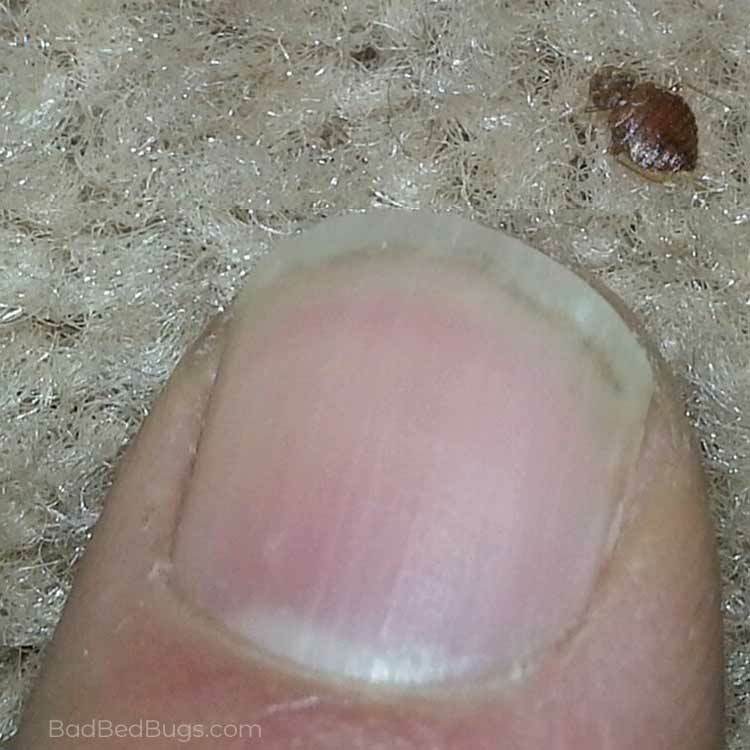 You can tell from the size and dark color throughout. 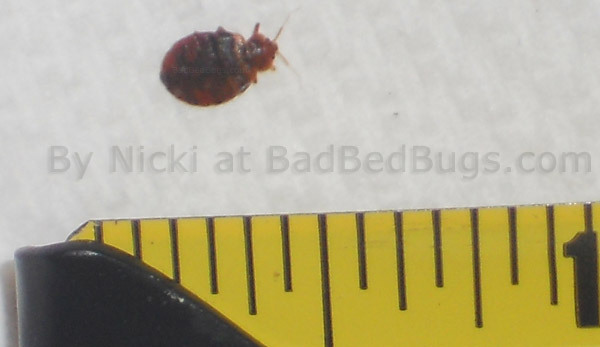 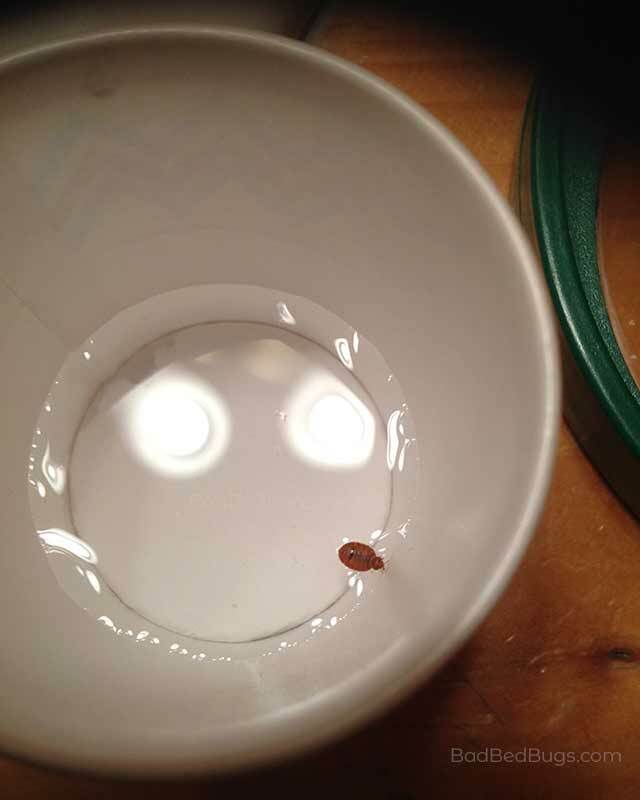 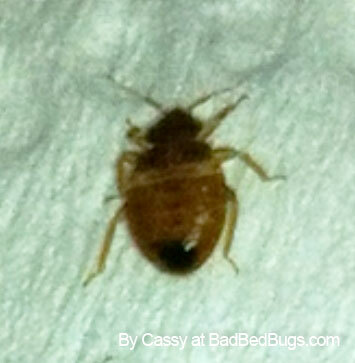 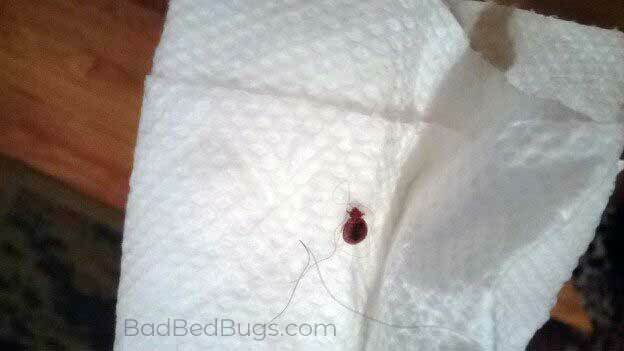 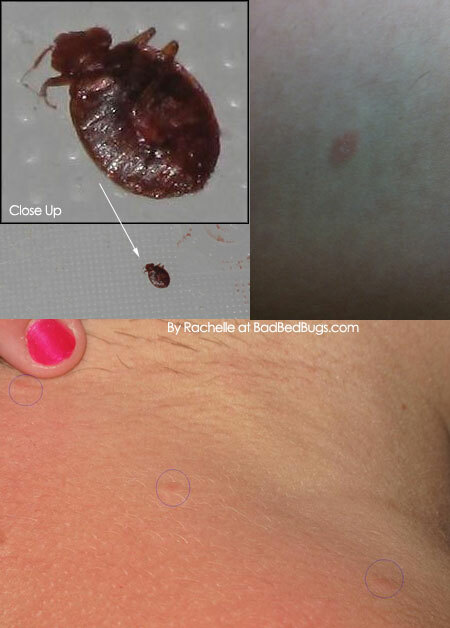 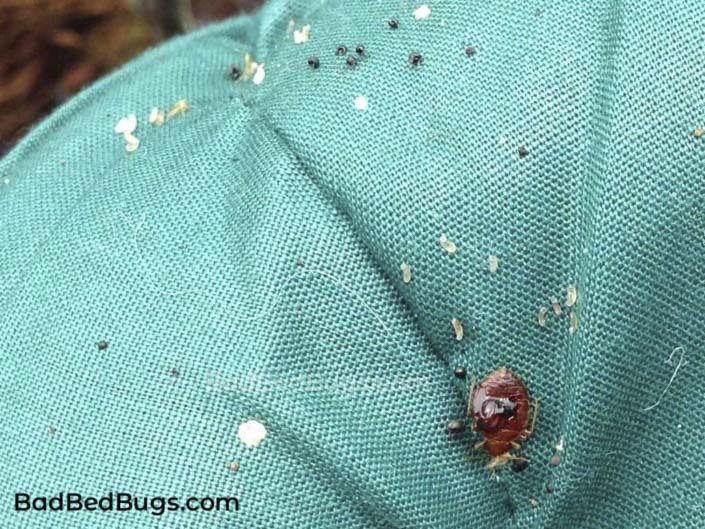 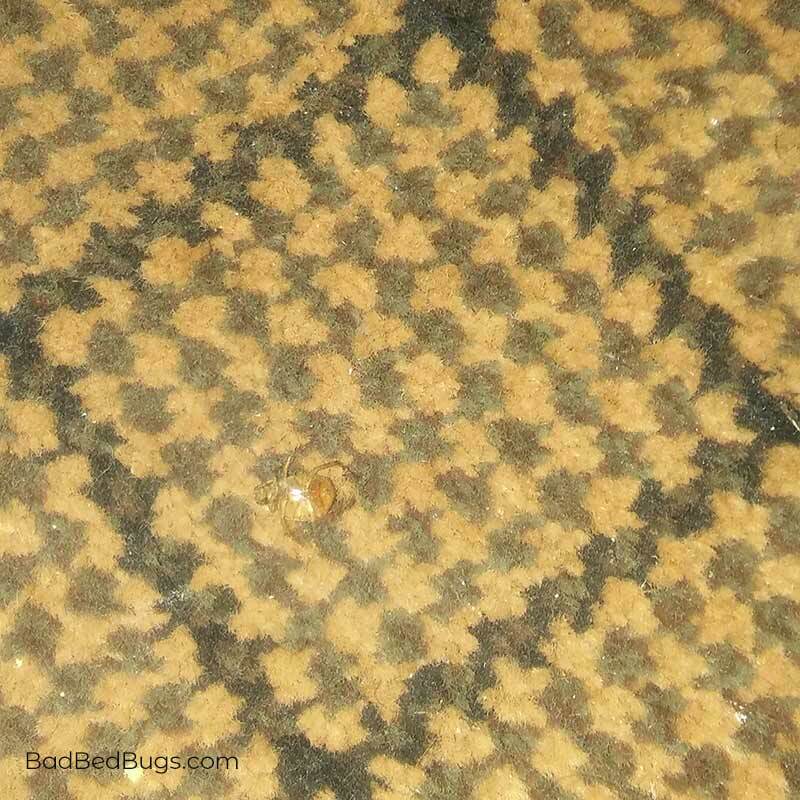 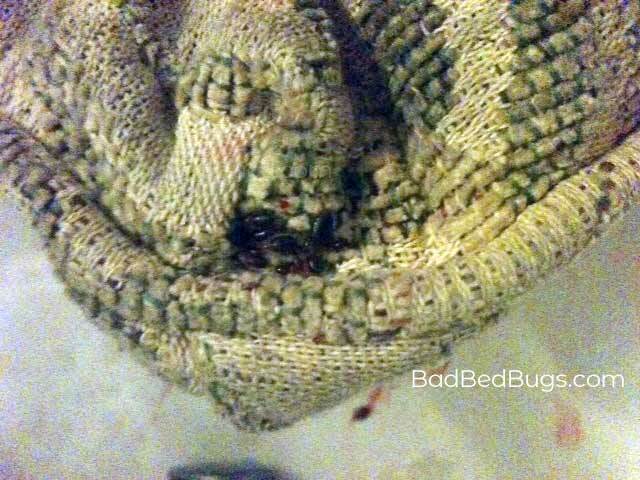 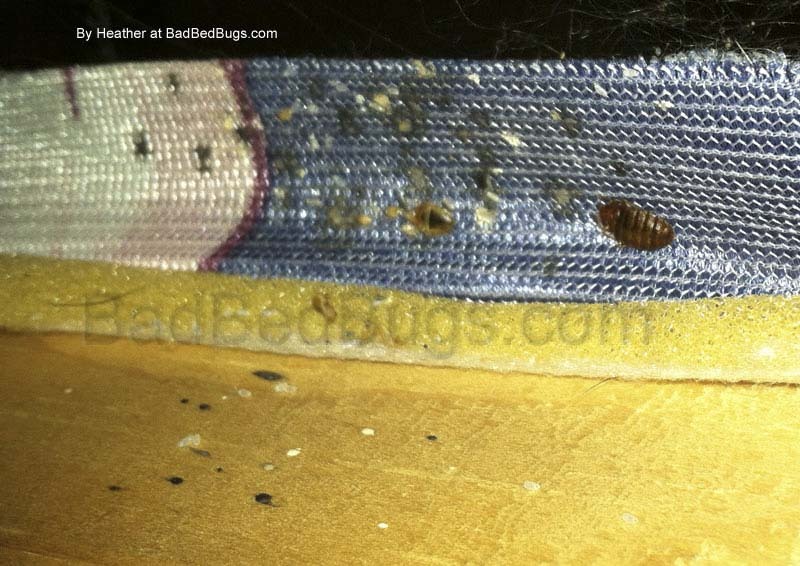 This is what a recently fed young bed bug looks like; notice that dark spot inside it? 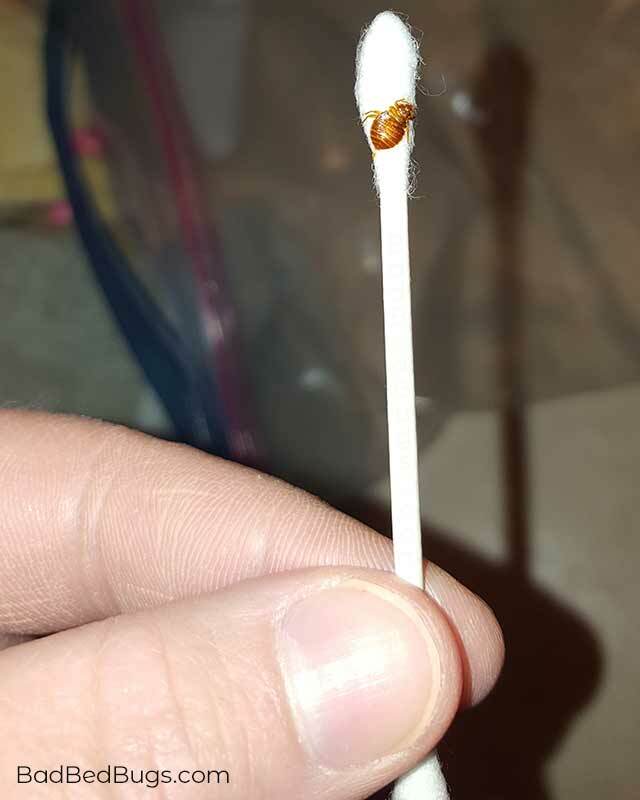 That’s blood which it has been feeding upon. These are what bed bug eggs look like that have hatched. 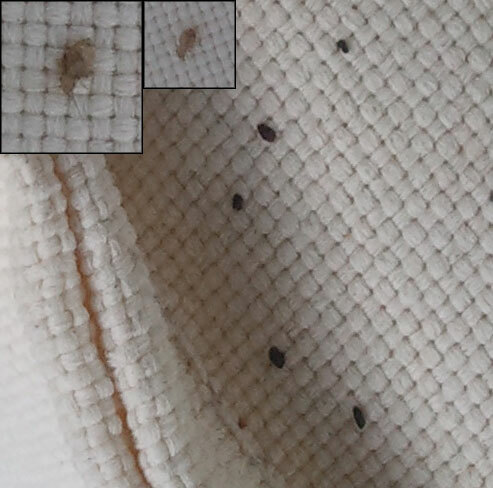 New eggs are not transparent, white, and sticky and look like rice. 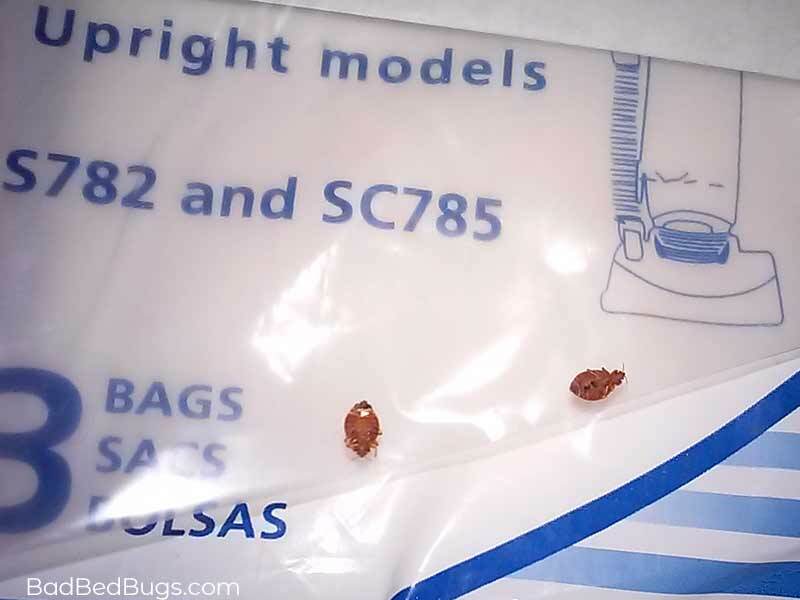 This is what bed bug poop looks like and is dried blood that was excreted. 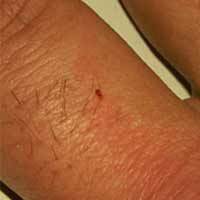 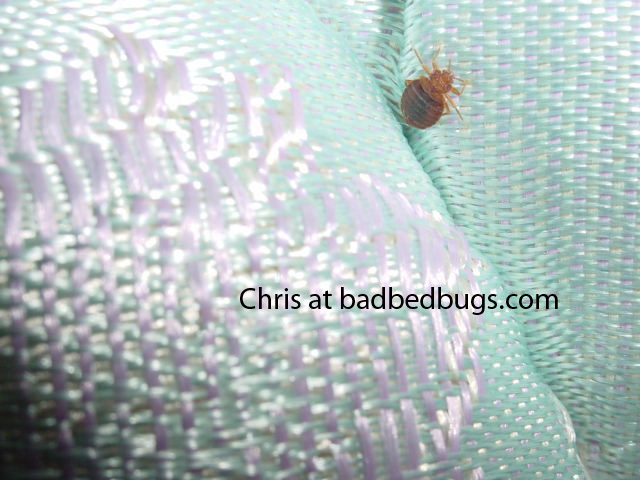 A baby bed bug (1st instar) is only a millimeter in size and almost transparent making it very easy for them to blend into the background. 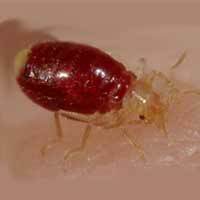 Once they get their first drop of your blood, their body elongates and turn a reddish-brow color. 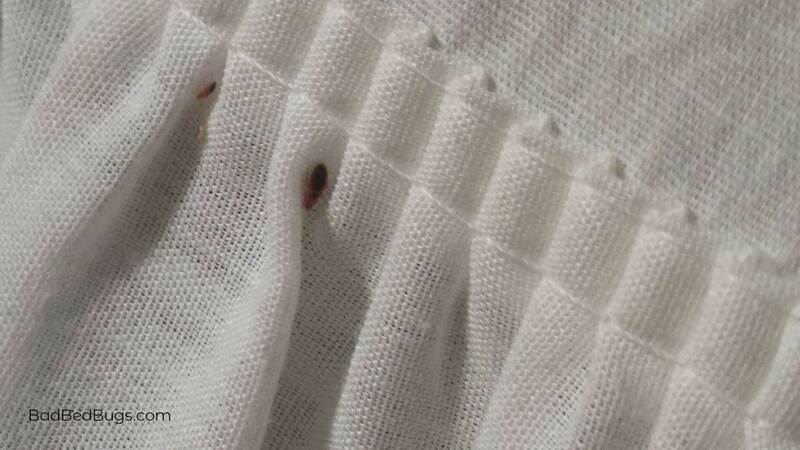 They are very difficult to see at this stage. 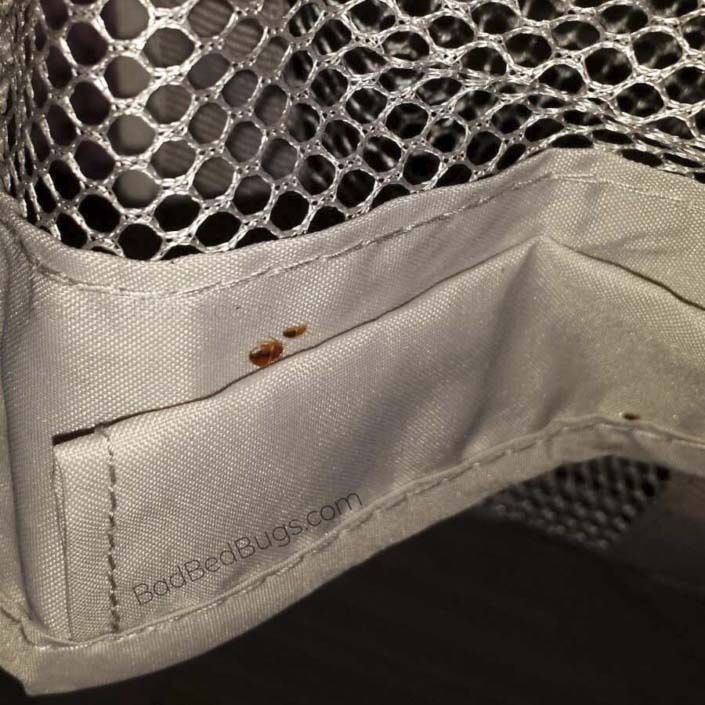 So what do bed bugs look like? 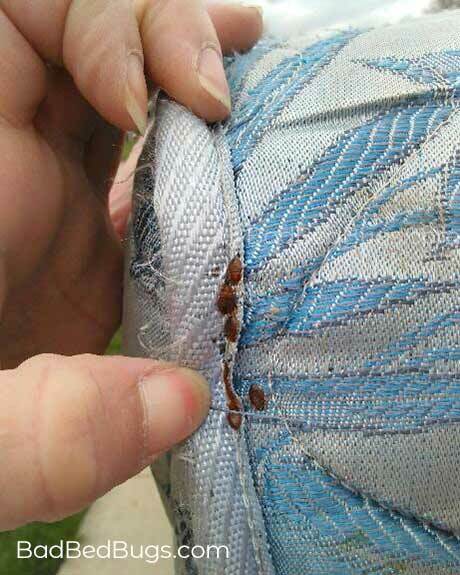 They look like an apple seed and can grow in size to 7mm with a flat or oval shape depending on the last time they fed. 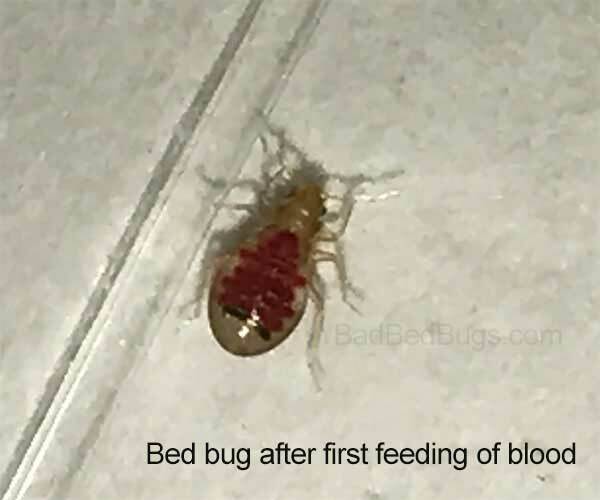 They survive by feeding on your blood and can go for many months without food once fully fed. 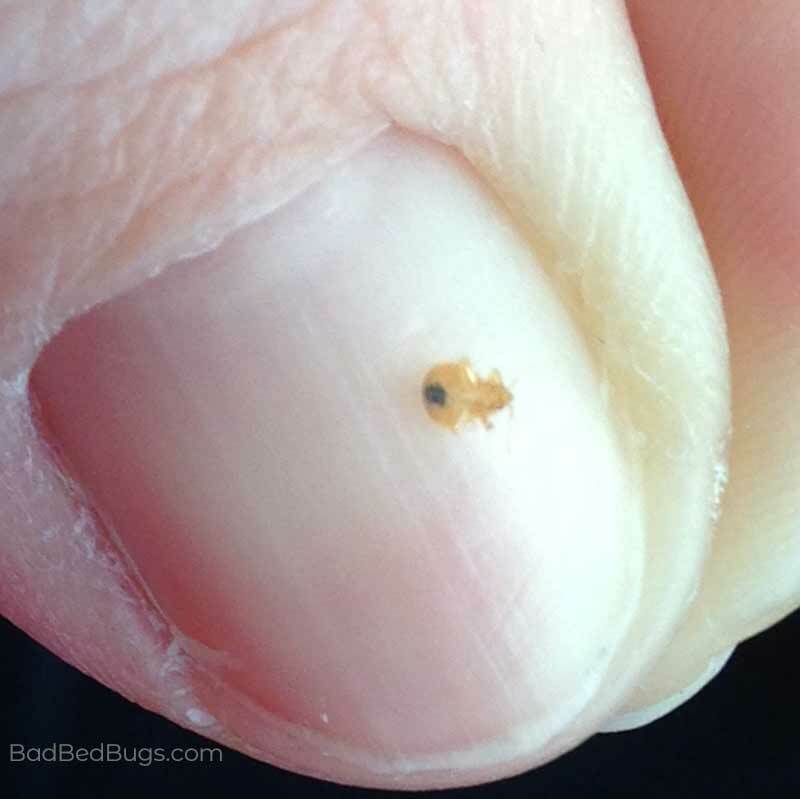 There are 28 pictures below showing the size of a bed bug at different stages in its lifecycle, from hatchling, to baby, to a fully fed adult. 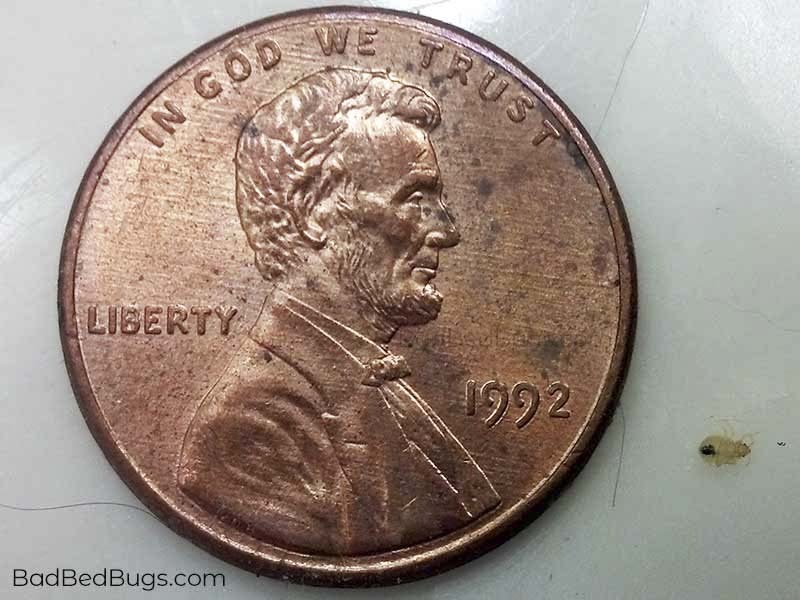 Many are displayed next to objects to give you an idea of just how small they really are, such as the larvae (bed bug eggs) in item #5 above. 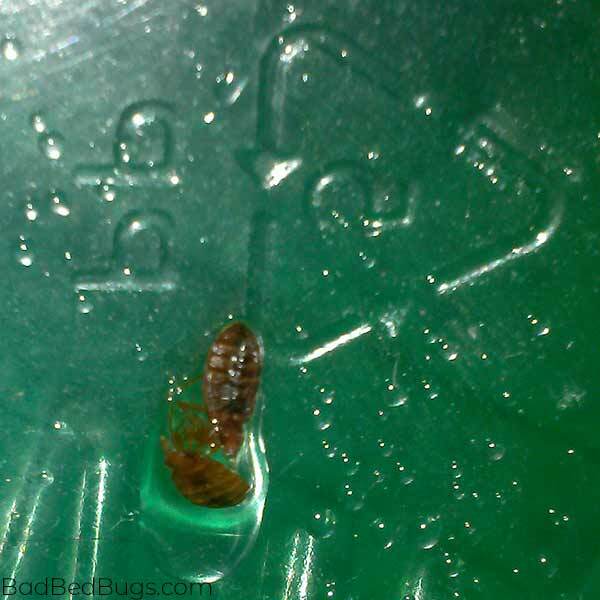 The most commonly found size is the bed bug shown next to the measuring tape. 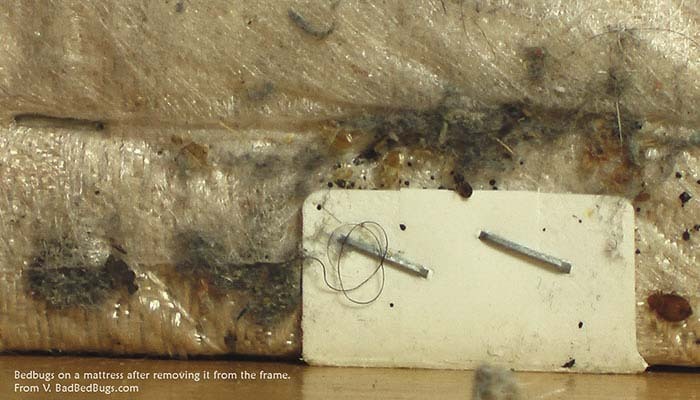 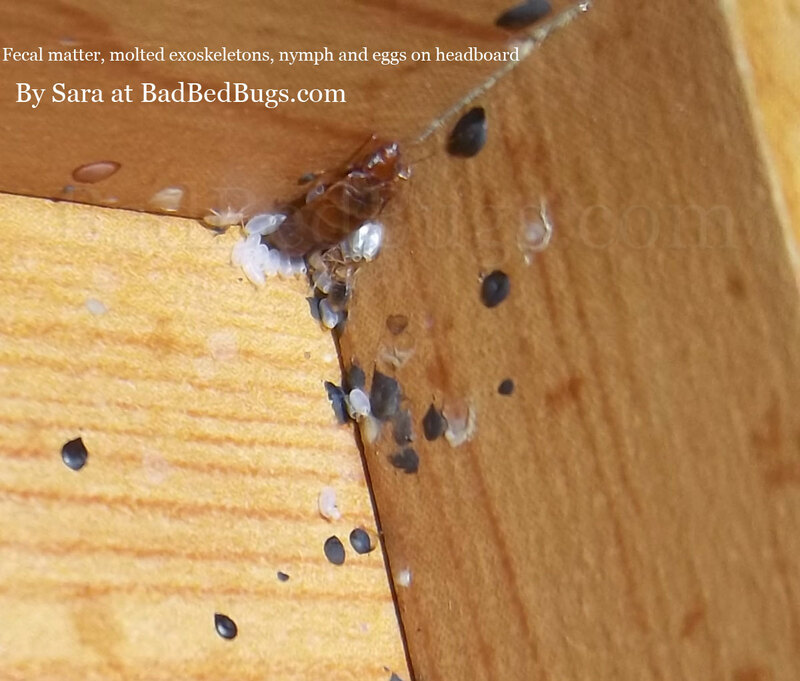 The third image shows bugs underneath the mattress seam while the forth image reminds us not to forget about the box spring, which is clearly infested. 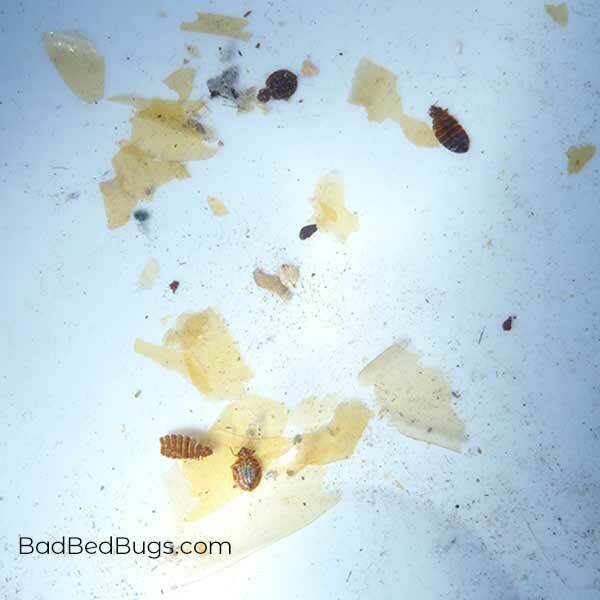 There are so many bed bugs on the mattress in image four that this is pure neglect – once they mass in numbers like this, they put off a smell that can’t be ignored and would be hard to miss! 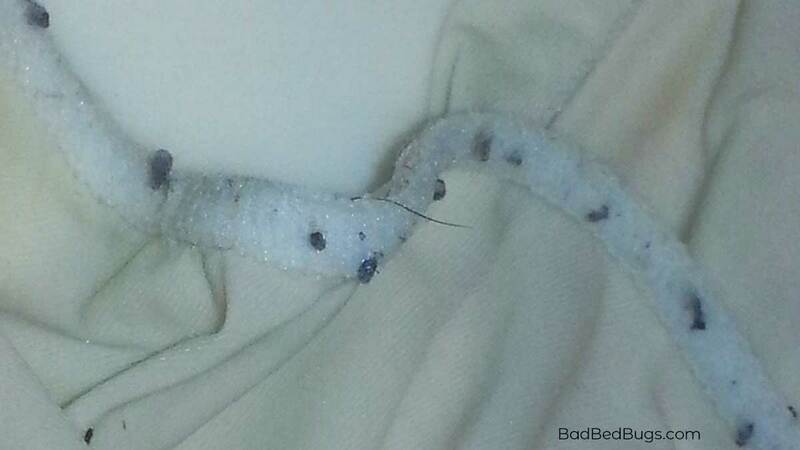 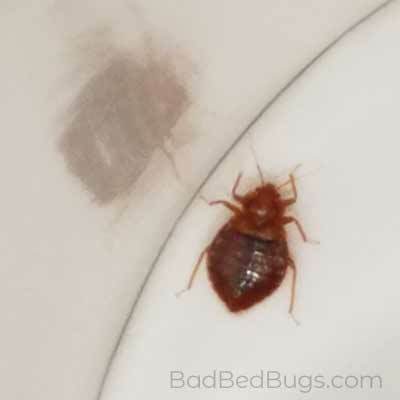 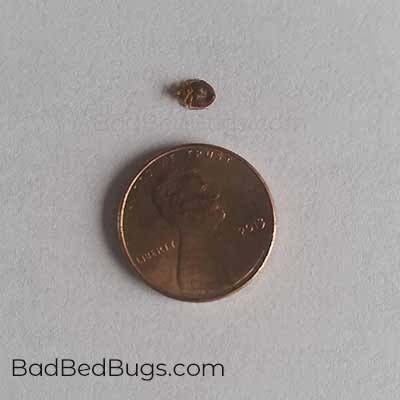 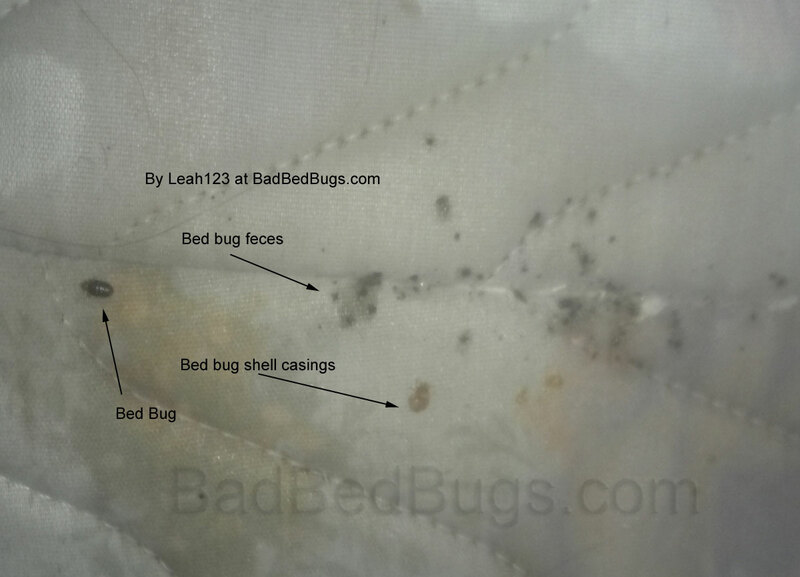 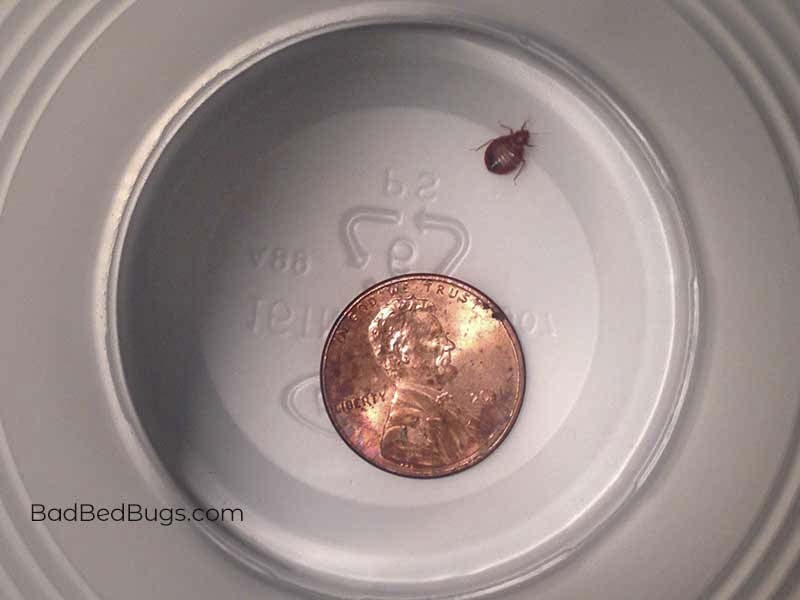 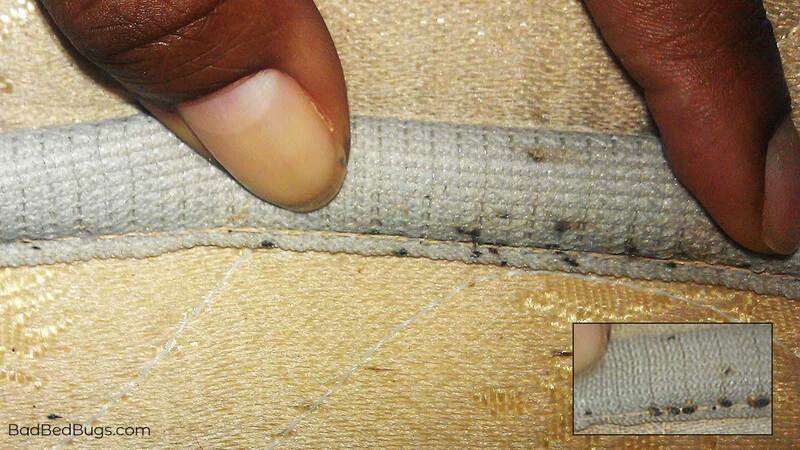 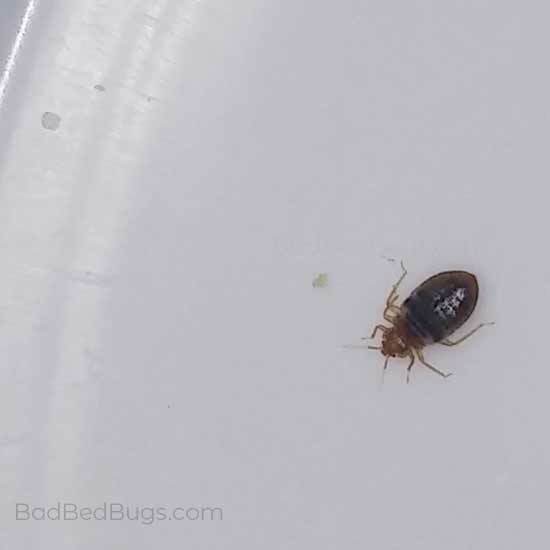 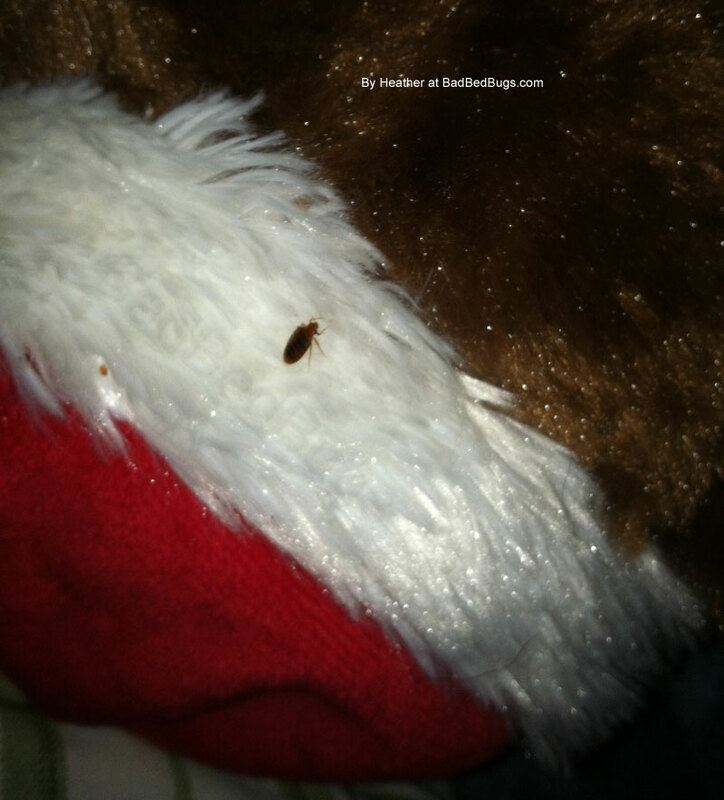 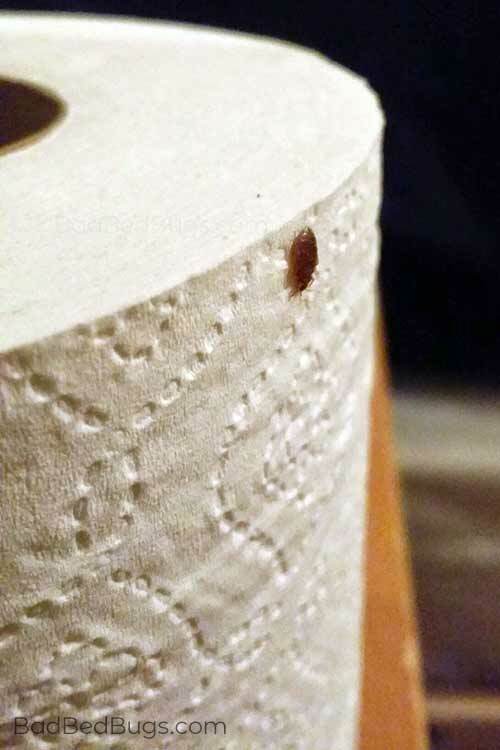 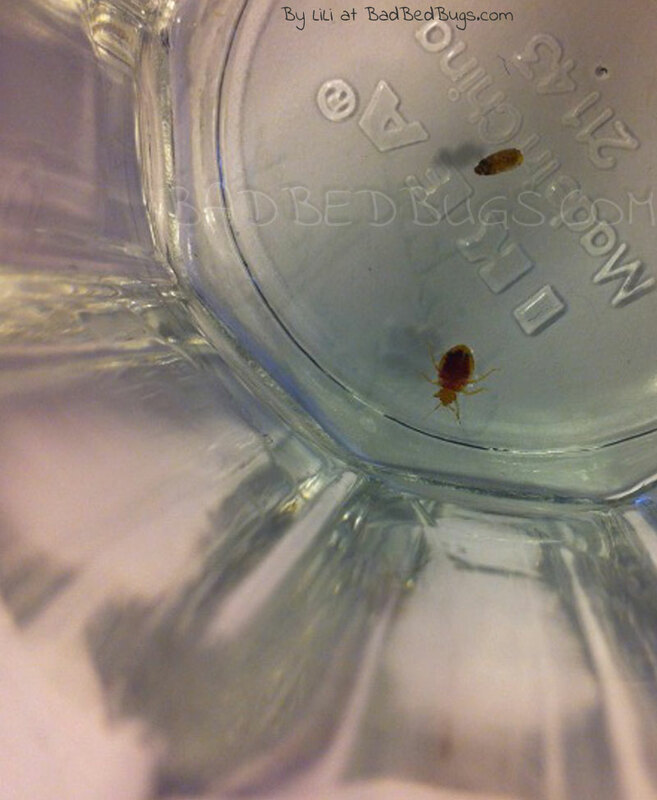 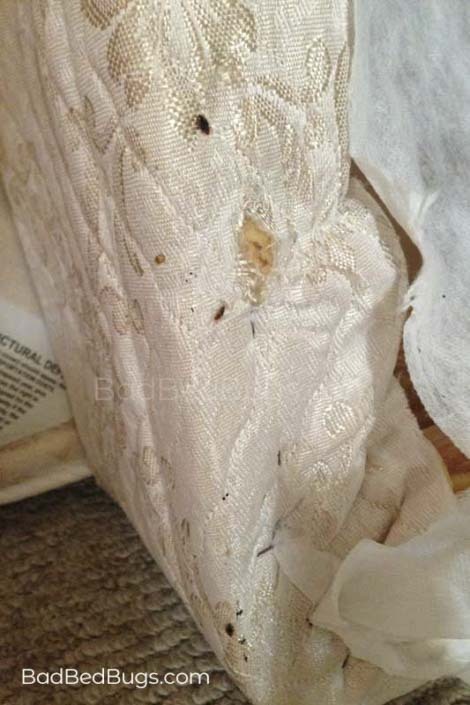 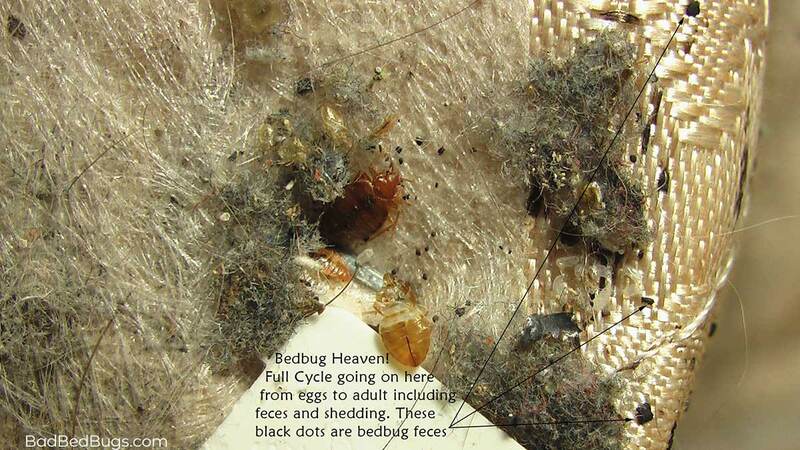 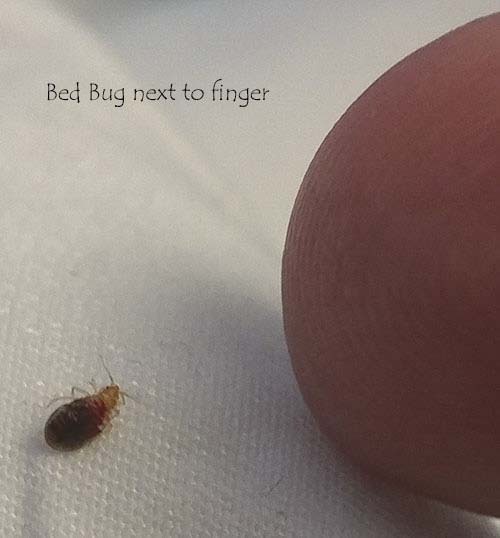 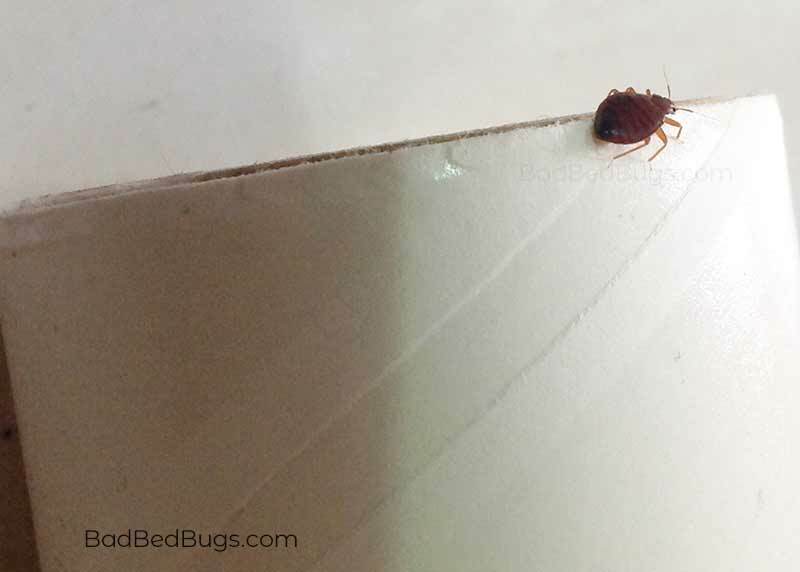 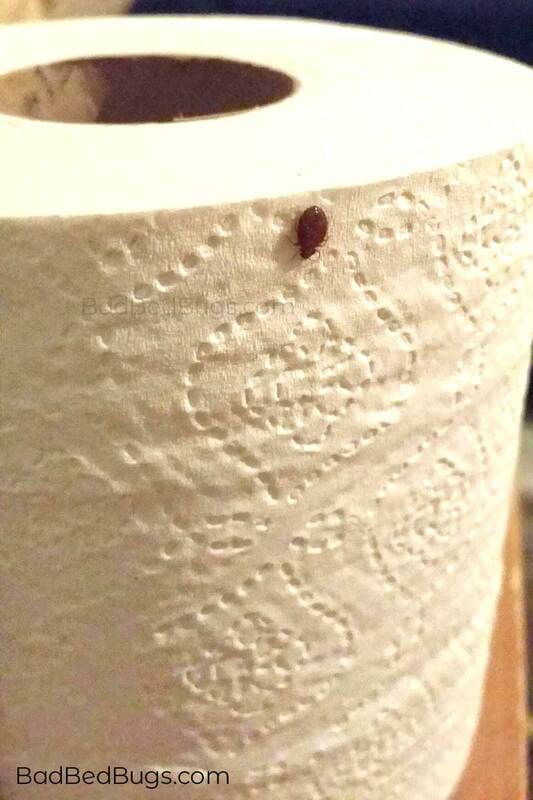 The remaining images show bed bugs in many different environments, such as inside the elastic ends of a bed sheet, on pillows, baby mattress, headboards, and all ranging from live eggs, to first feeding, casings, and to adult bed bugs surrounded by poop. 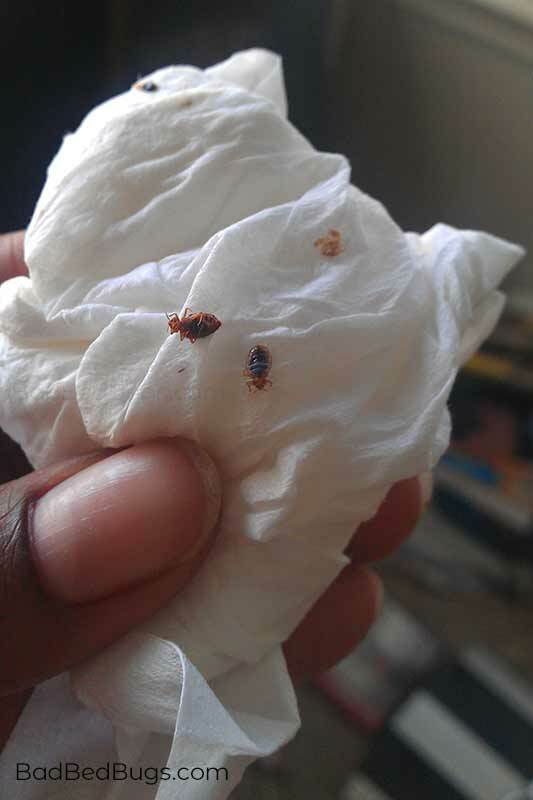 No worries, let’s get rid of them!